Like most applications from Adobe, Premiere Pro CC utilizes the GPU to enhance performance for a growing number of effects such as Lumetri Color, Cross Dissolve, Gaussian Blur, Ultra Key, and Sharpen. However, while a faster GPU will technically make these effects render faster, whether you would notice it in the real-world depends on how difficult that effect is to process and how many of these effects you stack on top of each other. For example, if you only use Lumteri Color, the performance gain will likely be minimal since the time it takes for your system to process that effect is minimal relative to everything else. In most situations, the more effects you use, the greater the benefit you will see from a more powerful GPU. In this article, we will be looking at the full range of NVIDIA GeForce RTX cards (as well as the new GTX 1660 Ti) and compare them to the AMD Radeon Vega 64 and Radeon VII. We recently did this comparison for a number of other applications, and while the AMD cards didn't fare well in Adobe Photoshop and After Effects, the Radeon VII in particular did extremely well in DaVinci Resolve. The question is: will NVIDIA come out on top like have in other Adobe apps, or will Premiere Pro behave more like DaVinci Resolve with AMD taking the price-to-performance crown? The benchmark we will be using is an alpha version of what we plan to make available to the public in the coming months. Our testing looks at both live playback and export performance with a wide range of codecs at 4K and 8K resolutions as well as at 29.97 and 59.94 FPS. In addition, there are dedicated "Heavy GPU Effects" and "Heavy CPU Effects" sequences that are designed to individually stress the GPU and CPU beyond what a typical Premiere Pro user will do. Linus Media Group (who produces the popular Linus Tech Tips and TechLinked channels on Youtube) for the 4K and 8K RED clips which were also transcoded to create the H.264, H.265, and ProRes clips. Chris Shreve (Christopher Shreve Media) for the 4K Cinema Raw Light clips. While our benchmark presents various scores based on the performance of each test, we also wanted to provide the individual results. If there is a specific codec you work with that we are testing, examining the raw results and scores for that individual codec is going to be much more applicable to your workflow than our Overall and Average scores. Feel free to skip to the next section for our analysis of these results if you rather get a wider view of how each GPU performs. Our results are divided into an Overall Score, Average Live Playback Score, Average Export Score, and Heavy GPU Effects Score (which is the average live playback and export scores from the 29.97 and 59.94 FPS Heavy GPU Effects sequences). One thing we want to note is that our Heavy GPU Effects test is designed to put a heavier load on the GPU than most Premiere Pro users ever will. In many ways, this makes this an unrealistic benchmark, but it is an indication of the largest possible benefit you could see with a higher-end GPU. Starting with this Heavy GPU Effects Score, it is immediately apparent that the NVIDIA GeForce cards are significantly faster in Premiere Pro. The Radeon Vega 64 is at the very bottom of the chart and is about 13% slower than the less expensive GTX 1660 Ti. The Radeon VII does a bit better, but it is only 2% faster than the GTX 1660 Ti. Price-wise, the Radeon VII is typically right in-between the RTX 2070 and RTX 2080 which are about 25-35% faster than the Radeon VII. If we look at the Overall Score, the performance differences aren't as drastic since most Premiere Pro projects are going to be limited more by the performance of the CPU than the GPU. Still, the Radeon Vega 64 is again at the very bottom, with the Radeon VII and GTX 1660 Ti tying for second-to-last place. Compared to the Radeon VII, the RTX 2070 and 2080 end up being about 8% faster overall with most of that coming from their better live playback performance. In short, at a price-point similar to the Radeon VII, you are looking at anywhere from a 8% to 35% performance gain with NVIDIA GeForce over AMD Radeon depending on how many GPU effects you use. If your budget allows for a higher-end GPU like the RTX 2080 Ti, however, then there is a 12% to 63% performance gain (again, depending on the amount of GPU effects) with NVIDIA GeForce over AMD Radeon. In Premiere Pro CC 2019, we saw significantly higher performance with NVIDIA GeForce cards over AMD Radeon. At a similar price-point around the Radeon VII, our testing showed an 8-35% performance gain with NVIDIA over AMD, or a 12-63% performance gain if your budget allows for a higher-end GPU like the RTX 2080 Ti. Outside of straight performance, the Radeon VII does have 16GB of VRAM which can be useful in some situations. However, for Premiere Pro it is unusual to need more than 8-10GB of VRAM even for 8K workflows. Having more VRAM than you need doesn't give you any better performance, so unless you are using a plug-in or other application that actually needs 16GB of VRAM, the Radeon VII is simply a worse choice for Premiere Pro than an NVIDIA GeForce RTX 2070 or 2080. Keep in mind that article is only looking at Premiere Pro - if your workflow includes multiple software packages, it is a good idea to get a feel for how these cards compare in those other applications as well. For example, in DaVinci Resolve the Radeon VII is terrific. Not only does it perform on par with the RTX 2080 Ti, the 16GB of VRAM is incredibly useful if you do a significant amount of noise reduction. On the other hand, AMD tends to trail behind NVIDIA in other Adobe apps like After Effects and Photoshop. In terms of just Premiere Pro, however, using an NVIDIA GeForce GPU is definitely a better choice than using an AMD Radeon Vega or Radeon VII. Level 1 techs did a great video showcasing a situation where the 16GB VRAM is highly desired/required when manipulating RED 8K footage with Red Giant plugins. In those sorts of situations it looks like Radeon VII is king of the (consumer) hill. I would say this article severely distorts the truth about performance for most users. Most of us don't really care for Red performance, so you shouldn't combine results, with Red. There is no actual mention of the Red-only performance issue in the article, only smallprint with numbers, but without graphs. Red doesn't even have a market share that justifies presenting only an average. Averaging with something that is 10x slower than normal is a very strange decision on your part. We actually didn't pull out RED vs non-RED footage because the average relative GPU performance actually didn't change much either way. Even back from the article you linked, including and not including RED really had a relatively minor impact on relative performance overall, and it is even less today with the latest drivers, version of Premiere Pro, etc. Also, in surveys of our customers, RED is actually the second most common codec used. That may not apply industry-wide, but we of course primarily care about our customer are doing. 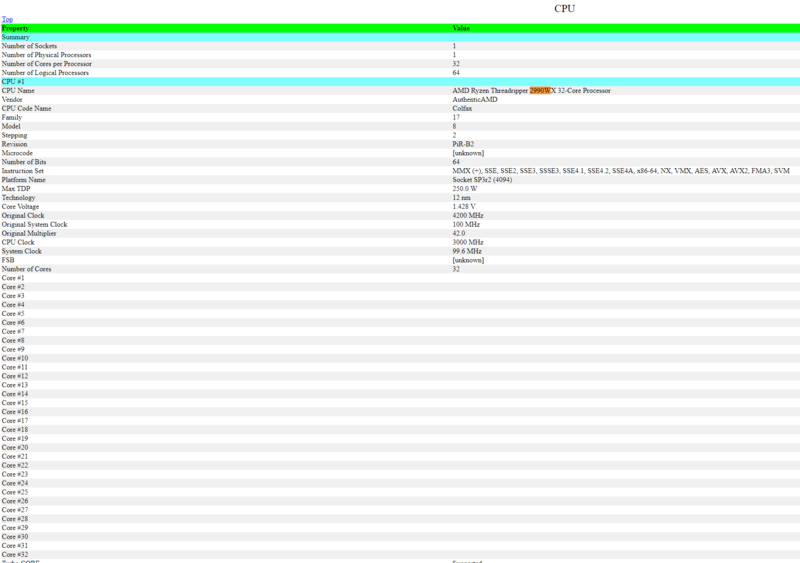 H.264 was the most common (unfortunately), followed by RED, then ProRes. After that, it got down into pretty small sample sizes so it is hard to say what comes after that. That is why we bumped up the number of H.264 tests in the latest revision of our benchmarks. Really, if you care about a specific codec, you should be looking at the individual results. Performance can be different depending on the codec, FPS, and the type and number of effects you use, and there is no way we could possibly talk about every single combination of those. Our average charts are just that - an average to give you a general idea of how a component performs in Premiere Pro. Averages are never going to be exact, which is why we always include the individual results. Also, if you are finding 2060/6 and 2070/8gb scores 10% or 20% better than 2080/8gb scores, there is something wrong in the system. You can't really benchmark small differences with error of this size. Averaging on multiple runs shouldn't be required in such a test. We do average across multiple runs. Although, technically it isn't an average, but we take the best result across 3 runs (or more if the results are strange). It becomes really, really difficult when the performance gets below about 10FPS. At that point, just a handful more dropped frames can dramatically shift the reported FPS so any sort of hiccup (often caused by Premiere, not the rest of the system) can shift the FPS results. Once you get to that point, however, you really can't think in terms of percentages, but rather the actual FPS. For example, going from 6 to 6.5FPS is a 10% performance gain, but either way that is going to be unusable. Luckily, I did some experimenting with pulling out those tests, and it didn't significantly impact the overall or average scores so we didn't need to have multiple average charts. That is because Premiere Pro uses Intel Quicksync to accelerate H.264 and HEVC. Any time we are using a CPU that supports that, we have it enabled. Even a 9900K with it on won't be able to keep up with the higher-end X-series, however, but it can certainly help close the gap. How did you get Adobe to recognize the AMD Radeon VII? I have tried using set-egpu and changing permissions on their apps but, I'm not having any luck (the prefer GPU option isn't showing up in get Info). However, my imac in seeing the card and I do have the prefer GPU option on other apps. Sorry, I'm kind of a noob with Mac but trying to learn more about it. Thanks is advance with any help you might be able to provide. Please update the Test with Windows 10 Pro for Workstations for AMD Threadripper 2990. This will use all of the Dies in this Monster-CPU on Windows. Windows 10 for Workstations is only needed if you have more than 2 physical CPUs. Any version of Windows 10 is able to use all the cores available in any single CPU currently on the market, and will be able to do so for the foreseeable future (I believe the limit is 256 cores/threads, but it may be different depending on the architecture) . Windows 10 for Workstations has some "performance improvements", but everything I have seen indicates that they are very minor in the real world outside a few special situations. Thanks für the fast reply on weekend. My Taskmanager shows the 2990 with 4 sockets (i have change this in the windows environment settings) with 16 cores. This tweak the windows scheduler to handle this type of die. And the Threadripper 2990WX has 4 physical CPU's. At the moment you have to use Linux to get the optimal out of the 2990 and 2970WX. CorePrio is only a partial solution. I believe there may be some confusion between multiple internal dies (or NUMA nodes) with multiple physical CPUs. If a CPU has multiple dies, that doesn't count towards the maximum CPU count supported by Windows. Only physically separate CPUs (where each has it's own socket and cooler) count towards that number. We do 2990WX systems all the time with the normal version of Windows 10 Pro (which is also the defacto OS for almost every hardware reviewer as well), and we've never had an instance where Windows 10 wasn't able to see and utilize all the cores. In fact, NeatBench is one of the benchmarks we run on each system, and that specifically benchmarks in a loop ranging from 1 thread to the maximum thread count (64 threads or 32 cores on the 2990WX) and spits out results for each thread count. 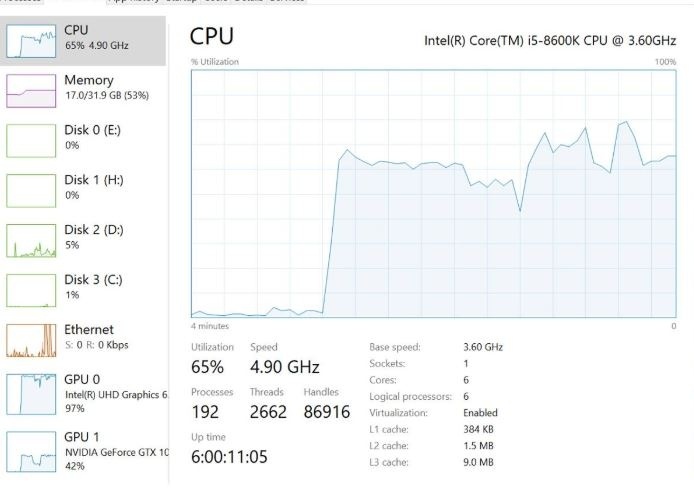 If Windows 10 couldn't see and use all the cores, it wouldn't be able to give us results with 64 threads. In fact, attached are screenshots I just pulled from the SIW report for a recent 2990WX system we shipped using Windows 10 Pro. Now, the scheduling problem is a whole different topic. That is definitely something that is still an ongoing issue, and CorePio is one partial solution to help alleviate it. However, I haven't heard anything about an official fix from AMD, I believe they are still blaming Microsoft and saying that they need to make a fix. Linux works perfect with the 2990WX with all-thread doing real-work, Windows is busy scheduling workloads from one thread to the other hence not doing real work, that is one of the reasons that the 2950x is often faster than the 2990WX. This is explained in a couple of youtube video's on Level1Techs (Jon Bach was also in one of their video's). I have never heard AMD blaming Microsoft. Yea, Linux works fine, but we're talking about Premiere Pro which is only available on Windows and MacOS, right? I am really curious what would be the top of line DGPU to do heavy lifting such as Premiere Pro & After Effects but supported for Mac OS. All things considered is the AMD Radeon VII the best current choice out there for custom mac or hackintosh setups? I've noted that there are no NVIDIA mac drivers for the RTX cards. Thank you for the benchmarks as always. Radeon VII 16GB is on par with 1660 TI 6GB, that is a tragic result for team red in this specific workload.